According to Shanghai-based Hurun Report, China’s sprawling network of start-ups worth at least US$1 billion expanded to 181 in the third quarter, overtaking the United States as home to greatest number of successful new ventures. The world’s second-largest economy has added 34 “unicorns”, or start-ups worth at least US$1 billion, in the third quarter, the publisher said in a release on Friday. The start-ups are worth a combined 4.8 trillion yuan (US$696 billion), and the valuation of its biggest unicorn, Ant Financial, has exceeded its counterparts in the US – Uber and Airbnb, the report said. China’s vast number of start-ups in industries spanning from e-commerce to fintech and artificial intelligence has transformed the way Chinese people eat, shop and entertain over the past decade, riding on a flood of enthusiastic early investment capital from within China and abroad. Karena Belin, Co-Founder and CEO of WHub has signed a Memorandum of Understanding (MoU) with Jino Shin, CEO of Y&Archer, a leading global accelerator that works closely with the Korean Government, during the A-Stream Asian Startup Conference on Tuesday. The aim of the MoU is to foster synergy and mutual growth in these two startup ecosystems, and to join forces to improve the Tech space in Asia. Y&Archer will be exhibiting and speaking at the Startup Impact Summit on January 25 to provide visiting startups the possibility of connecting with the Korean Government, international Venture Capitalists and public institutions. Grab your tickets, and come meet them. The new round brings PressLogic’s total raised to $15 million. Meitu had acquired a minority stake in PressLogic last year. PressLogic hasn’t revealed if Meitu’s photo imaging technology will be integrated into its platform, but Cheung says it would like to extend MediaLens’ analytics to images, too, as data from photos and videos shared on social media is potentially valuable. Paris-based crypto security giant Ledger, has announced its expansion into Asia with the establishment of a Hong Kong office and the appointment of Benjamin Soong as Head of Asia Pacific (APAC). The launch into the new terrain will see Soong overseeing the entire Ledger’s APAC operations as the company extends into fulfilling the growing demand for both Ledger Vault and the Ledger Nano S.
Mizuho Financial Group, Inc., a banking holding company from Tokyo, Cyberport, and Hong Kong Science & Technology Parks Corporation (HKSTP) have concluded a memorandum of understanding (MOU) for business cooperation for the purpose of supporting the growth of startup businesses in Japan and Hong Kong. Based on the MOU, the 3 parties will support Japanese and Hong Kong startups in entering the two markets, participating in business demonstration events, and pursuing R&D in the abovementioned fields. They will work to contribute to the economic development of Japan and of the Greater Bay Area encompassing Hong Kong, Shenzhen, and Guangzhou. 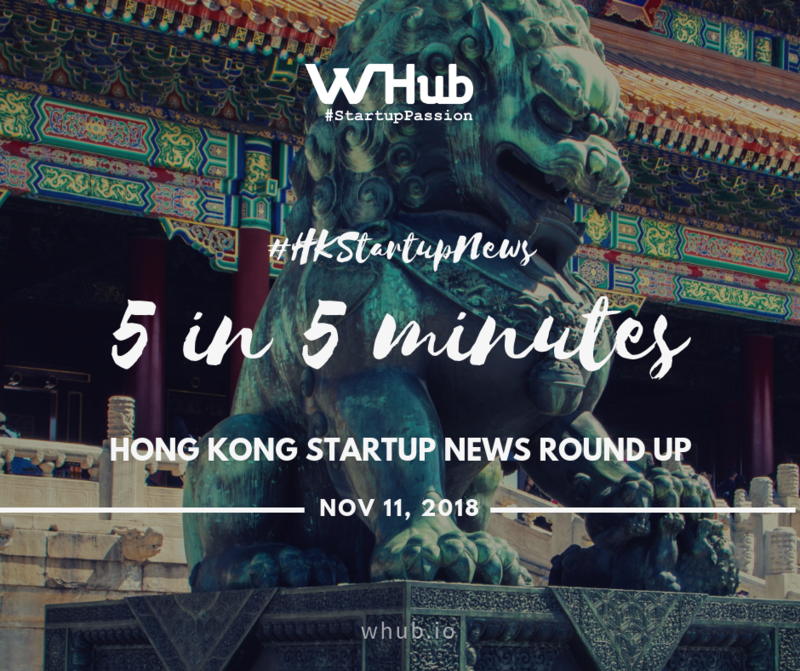 Recently, the Hong Kong government has been increasing its support to startups and its efforts to develop an innovation-friendly environment. Hong Kong is fast becoming an innovation hub, leveraging its highly open financial market.